A Colorado manufacturer unites the playful colors, sinuous forms, and sparking chrome of 1950s appliances with the advanced engineering of today. How did Big Chill end up manufacturing cutting-edge new kitchen appliances that look, in the best way possible, 60 years old? The idea came to company founder Thom Vernon when, in the process of designing a home for himself and his family, he encountered a dilemma. 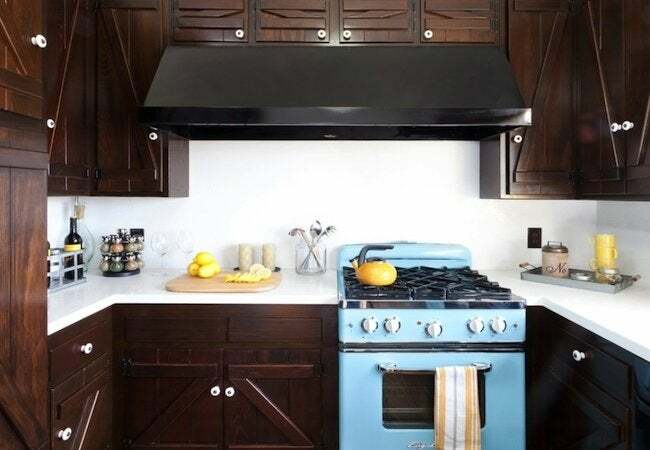 The other rooms of the house would have both a vintage look and modern conveniences, but this same balance wouldn’t be possible in the kitchen. 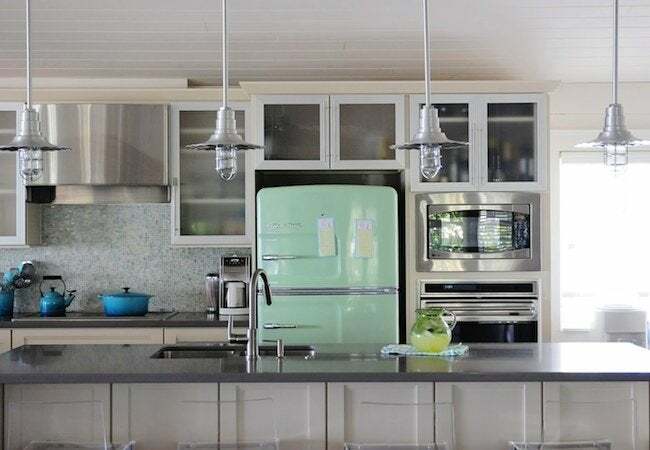 Even if he could find the right antique appliances, either at auction or through a specialty dealer, his feared these midcentury originals would be too small for his modern family’s needs. Energy efficiency was another worry, because the appliances that best suited his aesthetic vision had been engineered well before most people ever thought of such things. That’s when Vernon sought out his nephew, Orion Creamer, who had trained as a product designer. The two started a business with a novel concept: They would produce kitchen appliances that were brand-new in everything but their outer shell, which would recall the distinctive design of the 1950s. 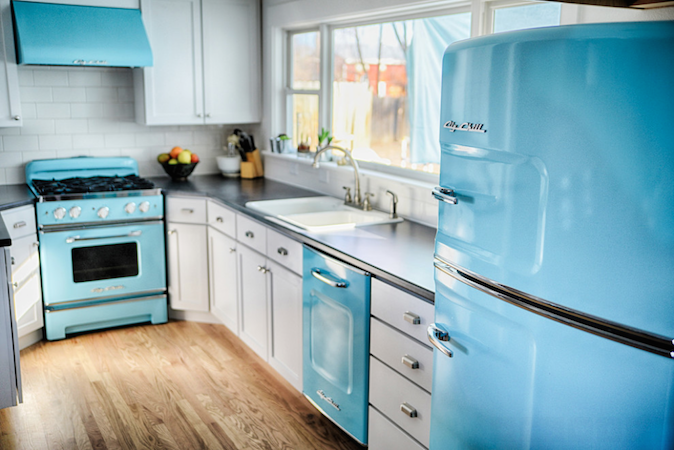 After studying countless vintage appliances, the team launched their first product, a professional-quality refrigerator clad in a retro-styled housing. They called it the Big Chill. Since then, the company has gone on to develop a full line of appliances that includes dishwashers, microwaves, stoves, range hoods, and wall ovens. All boast the benefits of modern technology, all are Energy Star-rated, and all adhere to the same classic aesthetic. Each comes in eight standard colors, such as Beach Blue and Jadeite Green, with more than 200 custom colors available on request. Most orders are assembled at the company headquarters in Boulder, Colorado. According to its Web site, the company continues to grow and plans to open a division in France, where there’s a high demand for vintage American appliances. For more information, visit Big Chill Appliances.